I looooooove this mask. With a little patience (seriously, wait until it's completely dry) and a little skill (ya gotta roll the edges in towards your nose) this peel-off charcoal mask will pull the gunk right outta your face. Buy it at Sephora! I first got hooked on this cleanser last year when I was working as a brand ambassador. I brought a bar over to my girl, Alex, CEO of Compulsive Nails, and her jaw about hit the bathroom counter when she dried off her face and looked in the mirror. The results are immediately visible. You’ll be left cry-laughing at your reflection going, “My pores...my pores...I can’t find my pores…” It’s hypo-allergenic, made with an absurd 97% natural ingredients, and will clear anything dead out of your face faster than you can say, “Holy blackheads, Batman!” PRO TIP: FOLLOW OUR INSTA @FABFEMINISTBLOG AND ‘LIKE’ THIS PHOTO TO GET YOUR GRUBBY LITTLE HANDS ON SOME FREE SAMPS. YOU’RE WELCOME, CREATURES OF THE INTERNET. 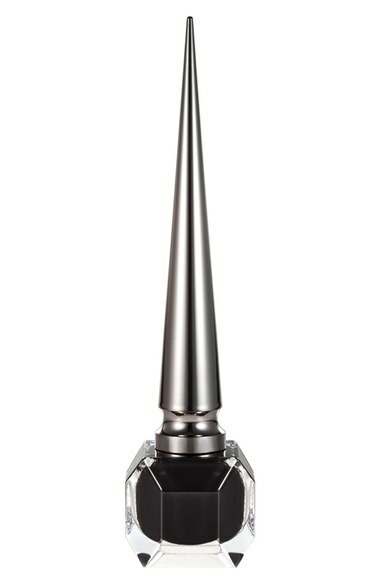 If a pair of these badboys is outta the budget and your vanity spread is a top priority, consider purchasing some glossy black nail polish in Khol by Louboutin. It’s almost like TEN tiny Louboutins on your fingertips! Plus, just think how great this bottle and it’s sky-high, stiletto-inspired applicator will look on your altar AHEM I MEAN VANITY TABLE. Four years ago, I went on a perilous journey in search of the sold-out Black Friday limited edition MAC lipstick. After scouring the internet, multiple phone calls, and an over the phone purchase, I was finally the proud owner of not one, but three, Hautecore tubes of lipstick. 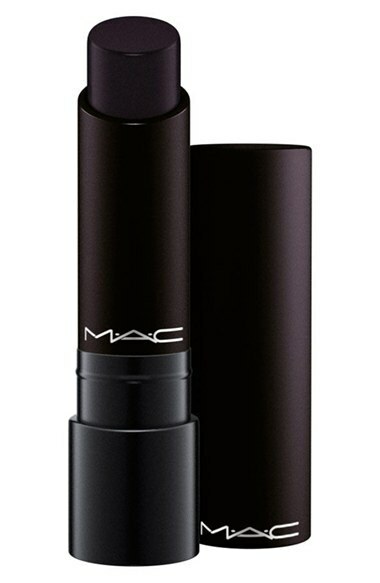 Last Black Friday, Mac released Stallion in its Liptensity line and for $21, it was a steal! We’re excited go see what this year’s limited edition Black Friday score will be. Okay, so these aren’t entirely black but we were on a punk rock kick and I couldn’t help myself. Compulsive Nails designed these for me back in January ‘14 for a month-long frolic in London. I had my Hautecore lipstick, my faux leather leggings, and some cherry red Dr. Martens and I was READY. These nails were like icing on the cake! Wear them for the holidays or whenever the heck you want because you’re punk rock as sh*t and don’t need a reason. Compulsive Nails is actually retiring this season, so grab these NOW before they’re gone forever!! C&C is hands down one of my new favorite products. It leaves your teeth feeling squeaky clean. You can SEE results. It's made of finely-powdered charcoal and coconut, both of which are known for their teeth whitening properties. It comes with a super cute teal toothbrush and has no flavor--not a bad flavor, not a minty flavor, NO flavor. Thus making it a no-brainer, amirite?? It's one of the big reasons I decided to splurge for the Fab Fit Fun subscription box, WHICH YOU CAN ALSO GET HERE. November 16, 2017 /Alexa E.